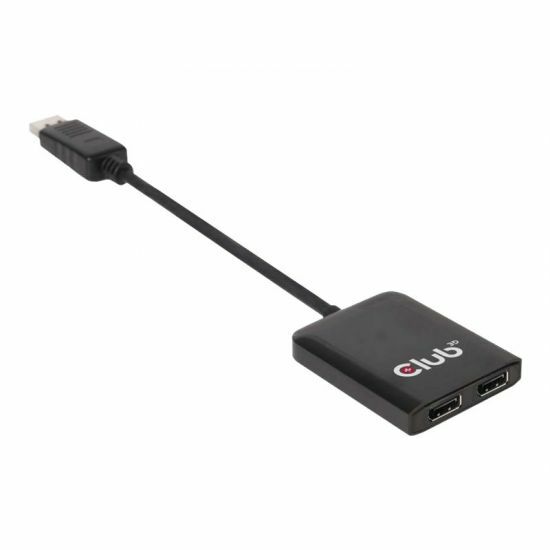 These Club3D SenseVision MST Hubs utilize Multi Stream Transport, a unique DisplayPort 1.2 feature that creates the ability to transport multiple independent uncompressed display (and audio) streams over a single cable, supporting protected content and high performance applications. This enables the use of multiple monitors connected by MST hub configuration. The Club3D MST Hub is able to distribute those video streams to the connected screens. The CSV-6200 is Plug & Play and does not require any driver installation. 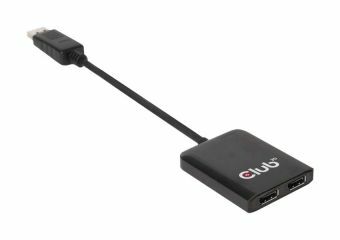 The Club3D MST Hubs do not increase the bandwidth of the DisplayPort 1.2 output of the source system, but enable the optimal use of it.